Samsung launched the Galaxy J6 and Galaxy J8 smartphones with Super AMOLED Infinity display in India. Last month, the company launched the same Galaxy J6 as Galaxy On6 in India at a cheaper price. Unlike the Galaxy J6, the Galaxy On6 is exclusively sold through Flipkart. The largest smartphone brand in the world selling the same smartphones with a different name at a different price for the same consumers. Today, the company has launched the Galaxy On8 smartphone in India for the Rs 16,990. It is exactly the same Galaxy J8 which is already available in the market for Rs 18,990. The device will be available in Blue and Black color options and is sold through Flipkart and Samsung Online Shop starting August 6th. Talking about the specifications, the Galaxy On8 sports a 6-inch Super AMOLED Infinity display with HD+ (1480 x 720 pixels) resolution and 18.5: 9 aspect ratio. Under the hood is the 14nm Qualcomm Snapdragon Mobile Platform coupled with Adreno 506 GPU. There is 4GB of RAM and 64GB of internal storage that can be further expandable up to 256GB using a MicroSD card. It runs on Android 8.0 Oreo with Samsung Experience UI laid on top. 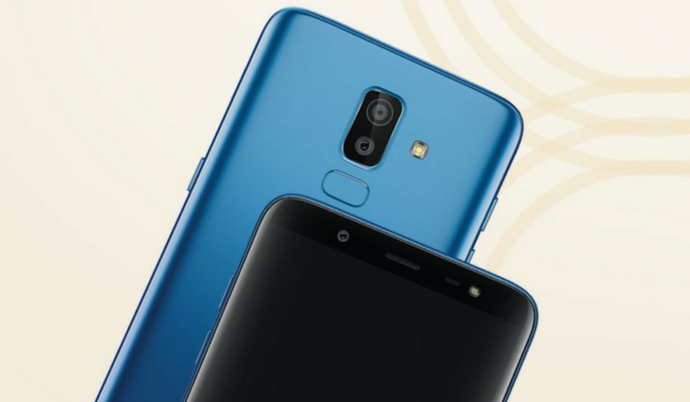 On the rear, the Galaxy On8 features 16MP primary sensor with f/1.7 aperture and a 5MP secondary sensor with f/1.9 aperture. For selfies, there is a single 16MP camera on the front. Both the front and rear are accompanied by a LED flash. The device sports fingerprint sensor and also comes with Face Unlock option. It is backed by a 3,500mAh non-removable battery and lacks fast charging support. Connectivity options include 4G VoLTE, Wi-Fi, Bluetooth 4.2, GPS, 3.5mm Audio Jack, and MicroUSB 2.0 port. The post After Galaxy J6, Now Samsung Rebrands Galaxy J8 as Galaxy On8 appeared first on PhoneRadar.